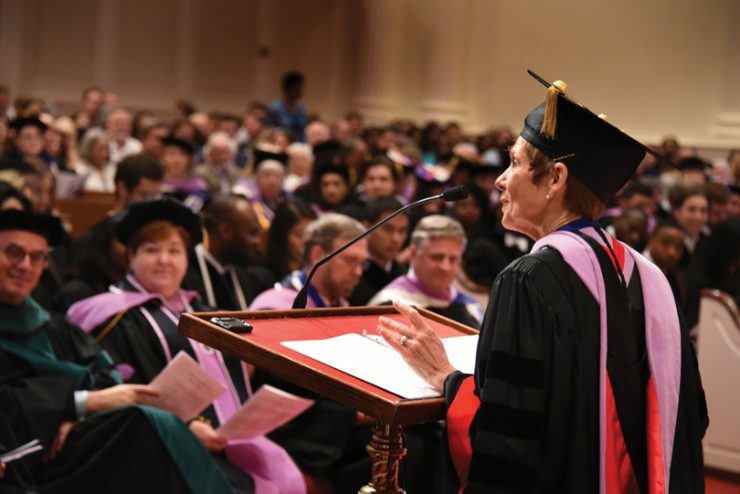 Dr. Carole Hanes distinctly remembers a colleague pulling her aside when she was named Associate Dean for Admissions, Students and Alumni at the Dental College of Georgia in 2000. Leave it to Hanes to step so masterfully into his shoes that her role kept growing to reflect her immense talent and skills. “My job has just sort of morphed,” she says with the warm smile and unflagging modesty that have characterized every day of her service since she joined the DCG faculty in 1986. As she reflected on her career in anticipation of her retirement this summer, it was hard to know where to begin to synopsize her DCG tenure. Her title alone — associate dean for students, admission and alumni — speaks volumes, yet doesn’t really hint at the scope of her responsibilities. From interviewing potential students to ushering enrollees through their dental education to maintaining strong connections with them as they embark on their careers, her influence on the lives of hundreds of current and former DCG students is simply incalculable. And although Hanes was happy to spare a few moments recently reminiscing about her career, her focus was, as always, on the many responsibilities consuming the last few weeks of her tenure. For instance, the Health Resources and Services Administration grant she oversees, which exposes students to underserved sites of the state and incentivizes their service to those areas upon graduation, will expire in August, so she and her colleagues were diligently pursuing a renewal. Preparation for several major events were also on the front burner, including a 50th-anniversary DCG celebration and an upcoming accreditation visit. 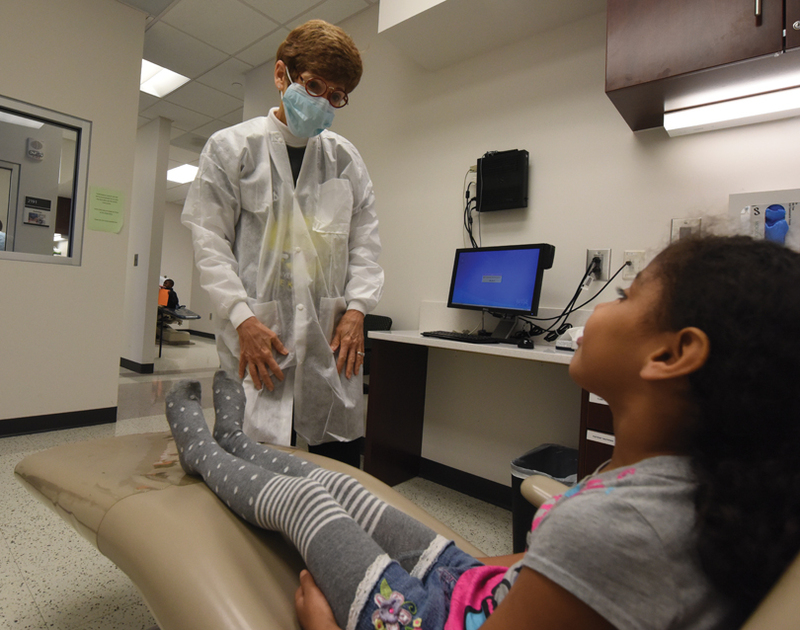 And of course, her normal responsibilities — overseeing student and alumni functions, providing pediatric dentistry, completing countless administrative duties, etc. — continued unabated. But he adds that the R&R is long overdue, and richly deserved. 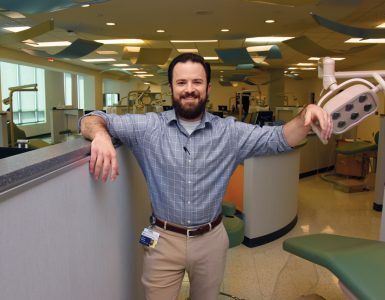 He and his wife had recently completed residences at the University of Rochester — he in periodontics and she in pediatric dentistry — when they joined the University of Mississippi dental faculty in the early ’80s. But it wasn’t long before the DCG worked its magic on them, as it had so many other Rochester alumni. They headed to Augusta in 1986 and never looked back. As they raised their daughter, Sarah, they both began moving from faculty to administrative positions. Philip Hanes served as Associate Dean for Academic Affairs and Advanced Education before retiring two years ago, and his wife moved into student affairs — a perfect fit considering her nurturing personality. ‘The right place’ included the pleasure of sharing a workplace with her husband, but ironically, their paths didn’t often cross on the job. 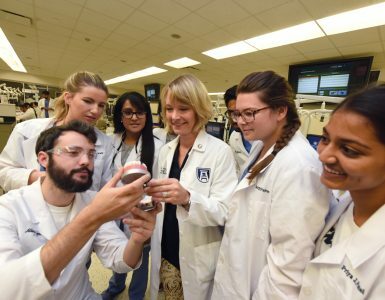 To honor Dr. Carole Hanes for over three decades of educating and supporting our Dental College of Georgia students, her friends and colleagues are establishing an endowed scholarship in her name. 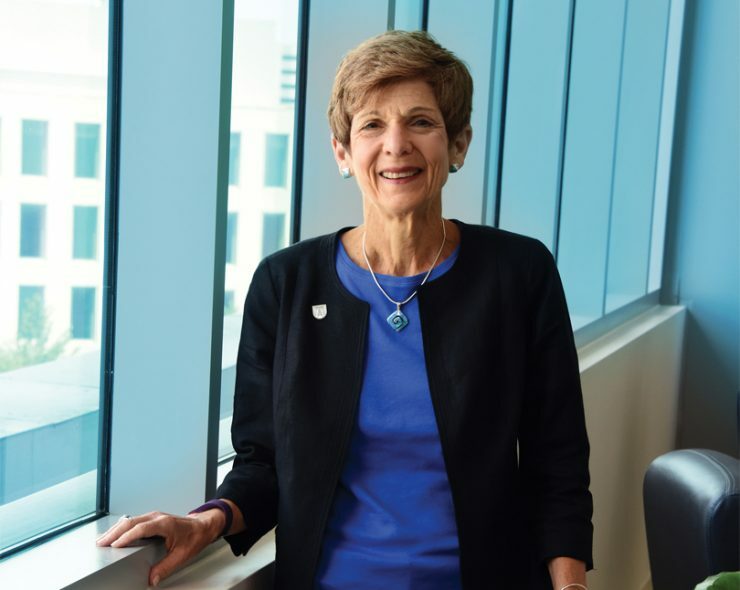 During her years as a faculty member and as associate dean, Hanes has touched the lives of more than half of all the students who have attended the school. Her patience, understanding and unbounded care and concern for the education and welfare of these students is universally recognized. 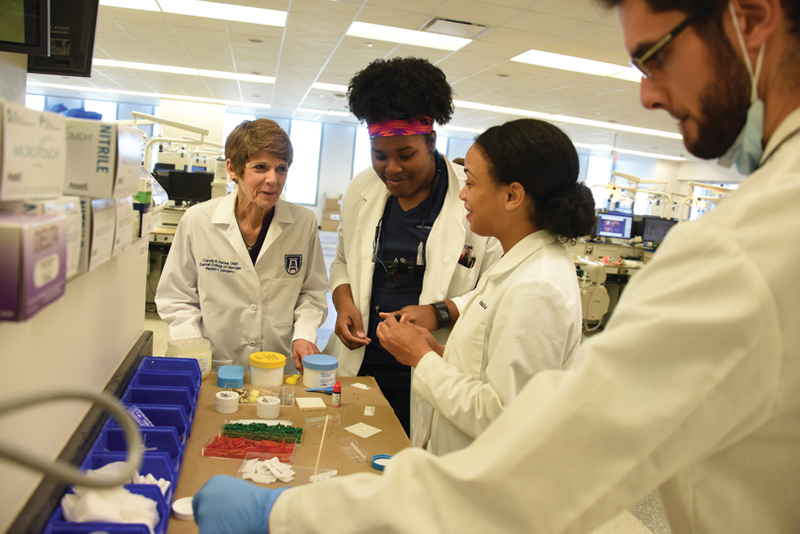 If you would like to support the Hanes Scholarship with a donation, you can contribute online, or by check made payable to the Georgia Health Sciences Foundation, Inc., Augusta University, 1120 15th Street, FI-1000, Augusta, GA 30912. You also can make a gift online at augusta.edu/giving/hanes. For additional information, contact Directors of Development Rhonda Banks or Dale Crail at 706-833-8038 or 706-840-0868. 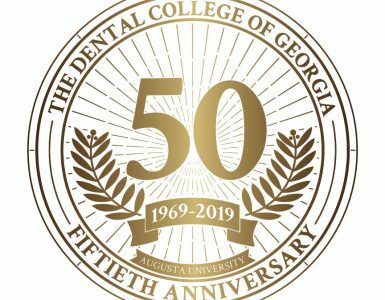 As The Dental College of Georgia gears up for its 50th Anniversary Gala next year, who better to chair the initiative than one of its longest-serving administrators? Dr. Carole Hanes is busy overseeing the details, one of the last and happiest tasks of her tenure as associate dean. The celebration, open to students, faculty, staff and alumni, will be held Friday, April 26, 2019, with details to come. Highlights will include greetings from the first graduating class (1973), recognition of past Jag 20 recipients, medallion presentations to past Distinguished Alumni and recognition of DCG Emeritus faculty. The gala will be the crown jewel of the celebration, but activities will take place throughout the year, beginning with the White Coat Ceremony this August. Next will be a celebration gala Alumni Weekend in April, culminating with the Hooding Ceremony of the 50th DCG class in May.